I turned 26 yesterday and had a wonderful day! It’s my first birthday since I started school of any sort that I’m not in school, the first birthday in a long time where I’m not juggling studying for midterms and prepping for clinical. Sometimes it doesn’t feel like I’ve accomplished a lot in my life, but in the last year I successfully completed two preceptorships, graduated from nursing school “with distinction”, wrote and passed the NCLEX, and got my foot into the door with a casual RN position. So I’d say I accomplished something over the last year! With my family, we went to Denny’s for breakfast. 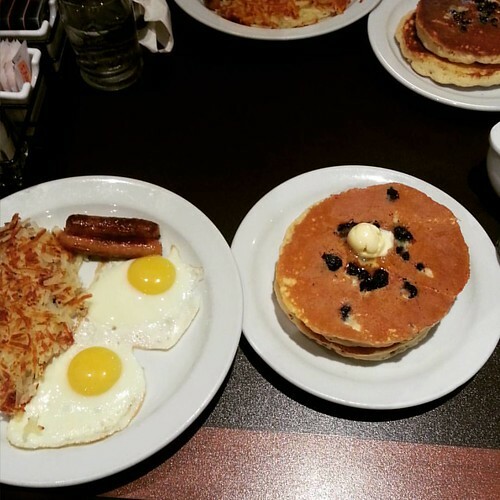 I opted for a breakfast with blueberry pancakes and got my eggs sunny side up. 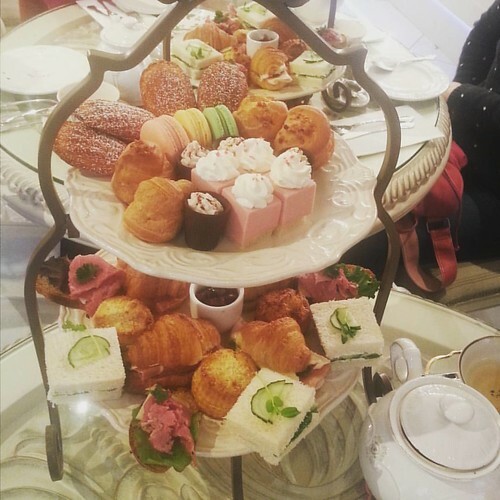 With my friends, we went to afternoon tea at a lovely little tea salon. There was a mix of savoury and sweet food items that were a delight. It was a great atmosphere with beautiful decor and even more wonderful company. It was fun to catch up with friends. Some haven’t seen each other since my last birthday party. 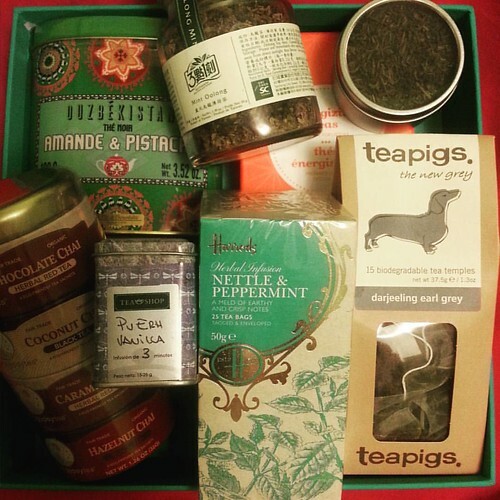 Many of the gifts I received were tea relate, as my friends probably could deduce that I must really like tea if I a) wanted to have my birthday celebration at a tea salon and b) have a tea blog. The day was capped off with a great seafood (prawns!) feast with my family, and cake – because cake is the best! I’m glad that my schedule worked out the way it did so I could celebrate my birthday on my birthday – and that others weren’t busy too! This week on Monday & Tuesday, I have orientation (still) – but I will hopefully get my schedule for when I get my mentorship hours/shifts! My hope is that I get my mentorship hours done before too far into December so I can get placed onto the call list for the winter/holiday/flu season.